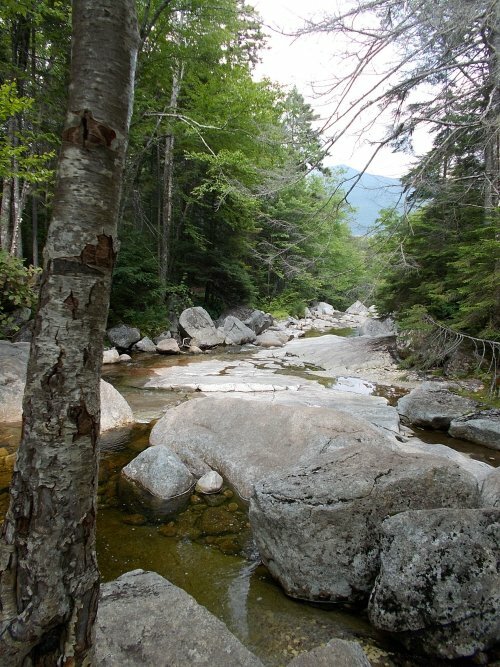 July 12: I planned for a short 10-mile day into Franconia Notch today, so I took my time leaving the shelter and didn't start hiking until 7:00am. 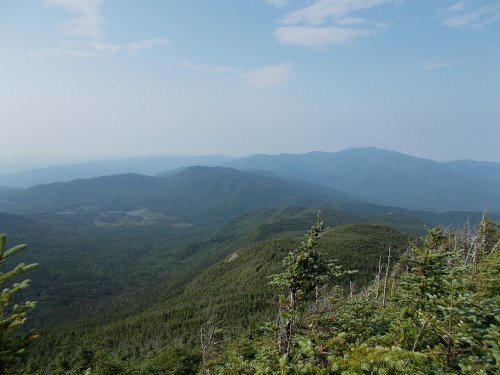 Immediately, the trail started climbing upwards, ever upwards towards Kinsman Mountain, another 4,000-footer. 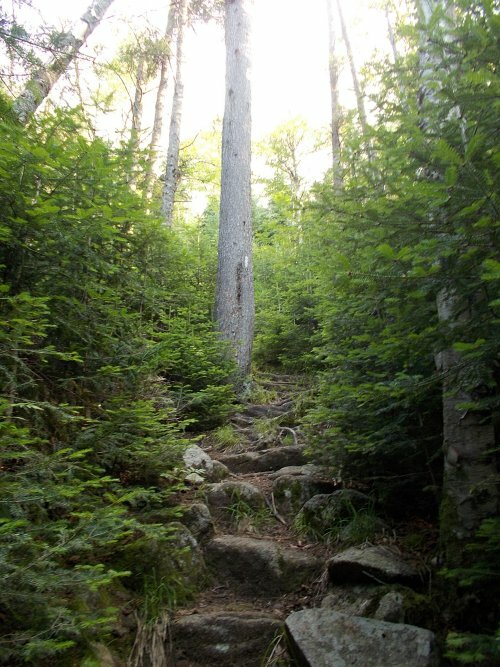 The trail started steep but near the peak, become vertical in places. 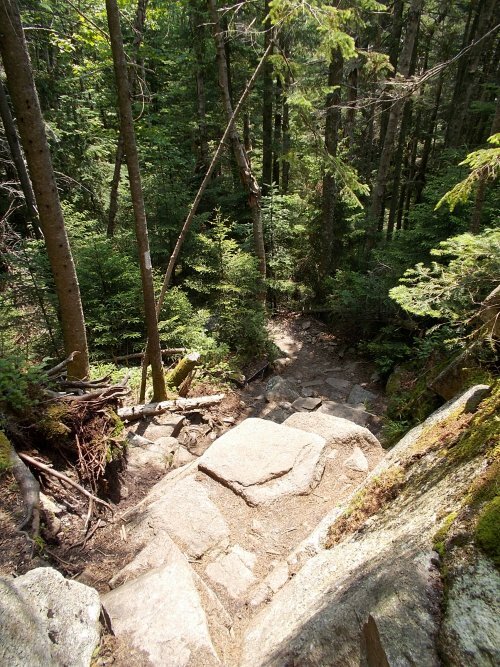 I'd walk up to what appeared to be a 10-foot cliff and think, what happened to the trail? Then I'd see a white blaze at the top of the cliff and mutter, $#!^! (or something to that effect). What the hell?! 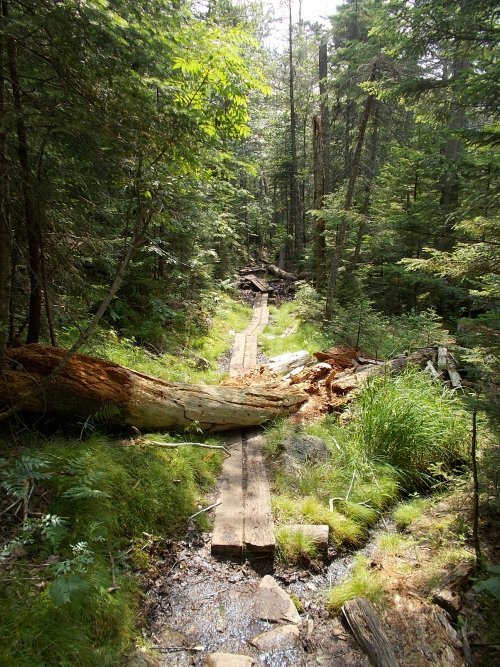 I'd grab onto roots and branches and whatever else I could find and scramble up. I was glad I was going up rather than down, however. Going up was certainly difficult, but going down this kind of terrain is far worse. 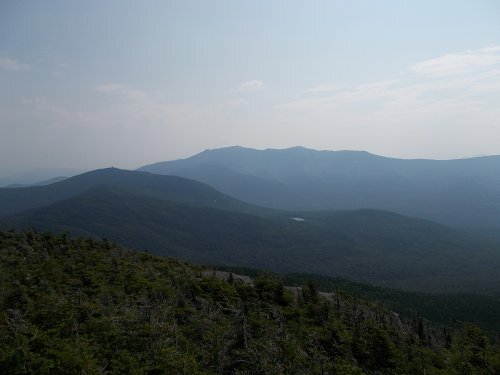 From the summit of Kinsman Notch, the views were wide open and spectacular. The day was clear, if perhaps a bit hazy, but the wide-open views were breathtaking. I took a short break, then continued on from the south summit to the north summit before the trail descended steeply to a more oxygen-rich elevation. The trail was was steep, but--thankfully--not as treacherous as when I came up the southern side. 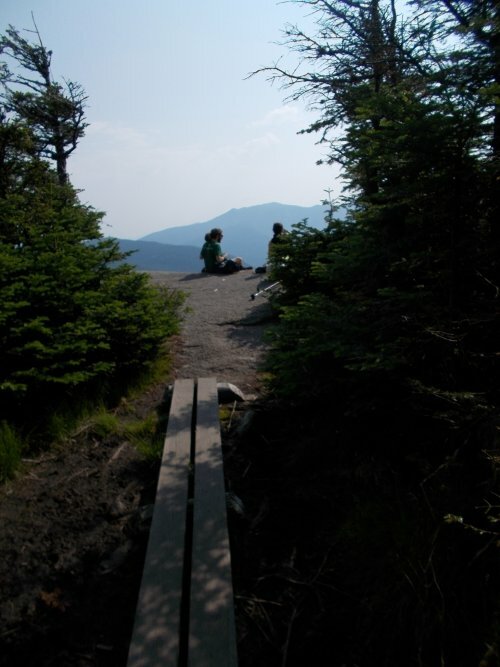 Near the end of my day's hike, I arrived at the first of the famed huts of the White Mountains. 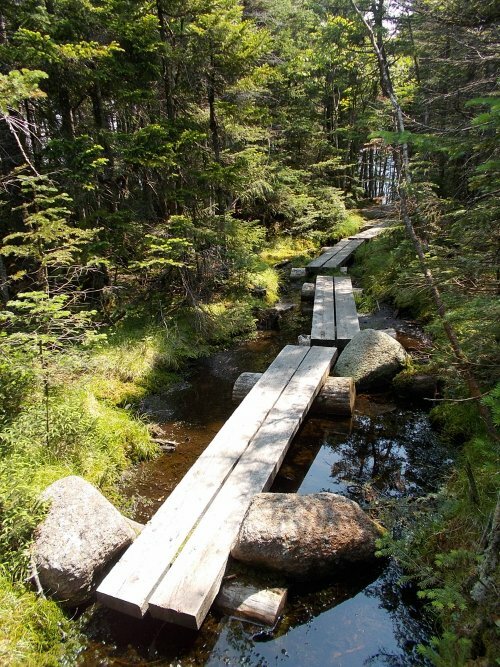 They're large structures built along the trail that hikers can reserve space for. Demand for these huts are so popular, you usually have to reserve them months in advance to get a bunk. 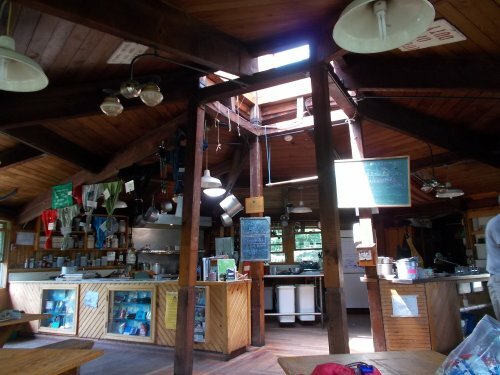 They'll serve breakfast and dinner, and provide pillows and blankets for hikers as part of the stay. 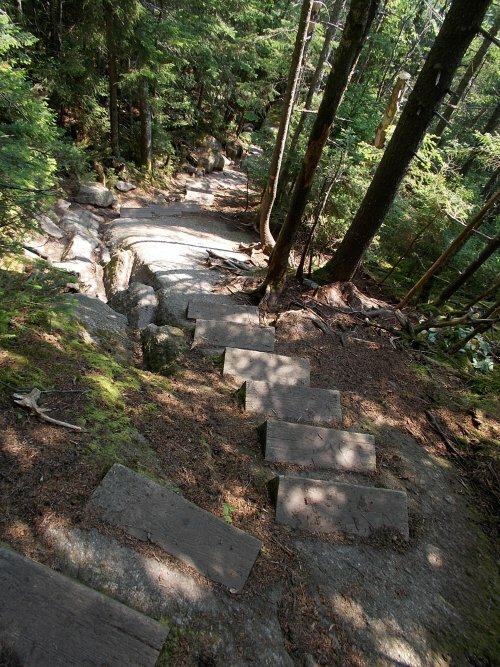 They'll also provide snacks during the day for hikers who want something to munch on. 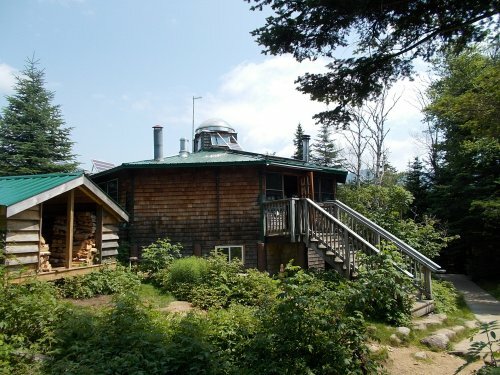 Thru-hikers can stay at the huts for free on a work-for-stay program. They'll put you to work helping with dinner or breakfast, or sweeping the floors or whatever else needs to be done, and they'll feed you leftover dinner and breakfast and let you sleep out on the floor of the dining room. There's an official limit of 2 or 3 work-for-stays for each of the huts (except Lakes of the Clouds Hut, which has a larger limit), but I've never seen them turn away thru-hikers for already being full. 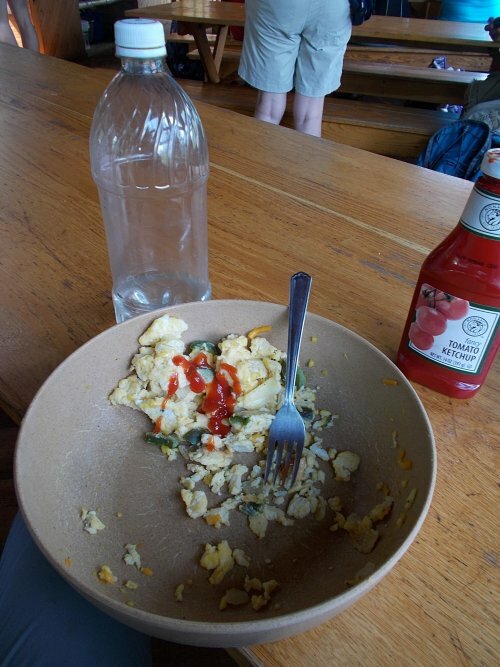 There wasn't much left and I said yeah, I'll finish off the eggs. No problem! And I did. 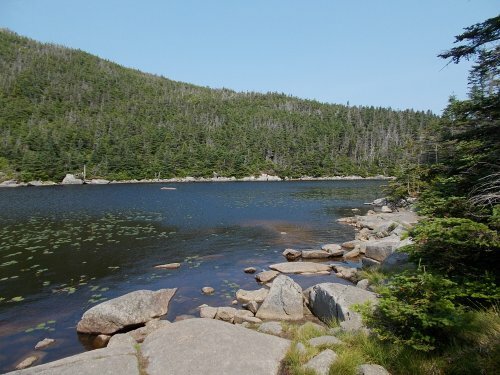 Because I had so much extra time today, I decided to take a walk around Lonesome Lake, an extra 0.6 miles that were completely off trail. It's a nice lake, though, and I had the time! 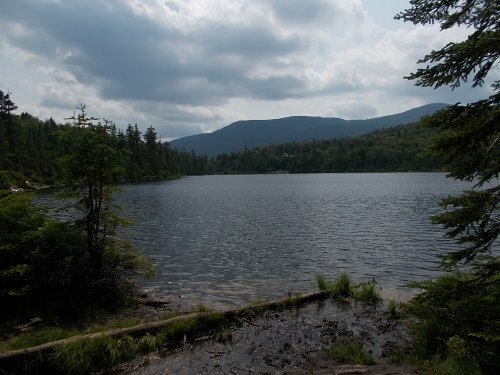 I looped around the lake, reconnected with the AT, and continued on to Franconia Notch. So I sat down to rest and looking through my guidebook, trying to decide whether to continue or stop. A couple of minutes later, Unhinged arrived--a woman from Canada I first met back in Damascus, Virginia and I hadn't seen since. She was slackpacking herself with a ride already waiting for her and offered me a ride into town. That sealed the deal for me. I wouldn't even have to hitch a ride into town--I already had one now! Unhinged went off in search of a new trekking pole--she either lost or broke her old one--and I checked into my room where I took a shower and got cleaned up the best I could. I didn't have my laptop since it was at the post office and today was Sunday--I wouldn't be able to pick it up even if I did make it to the post office, so I caught up with as much work as I could online using my smartphone and waited for Amanda's arrival later that night. 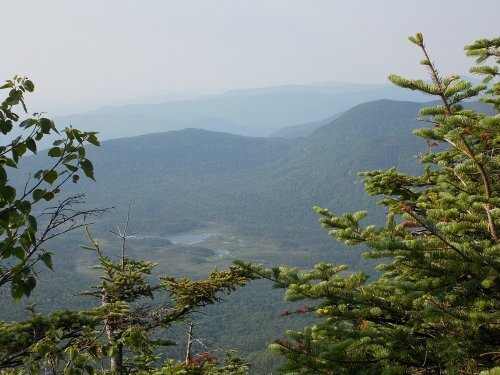 Great views from Kinsman Mountain! 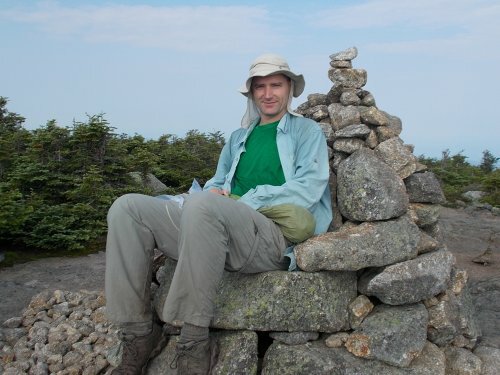 I took a break in this "throne" at the top of the south peak of Kinsman Mountain. 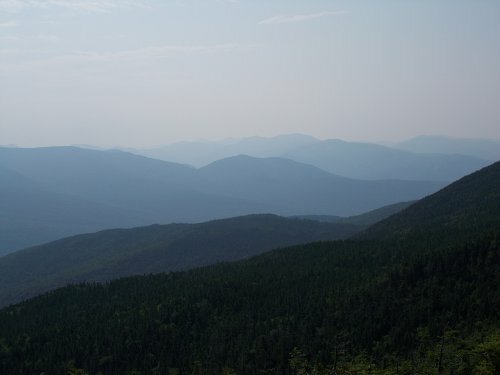 The Appalachian Trail, for the most part, follows the ridge on the left side of the photo to those peaks far in the distance which is Mount Lafayette. 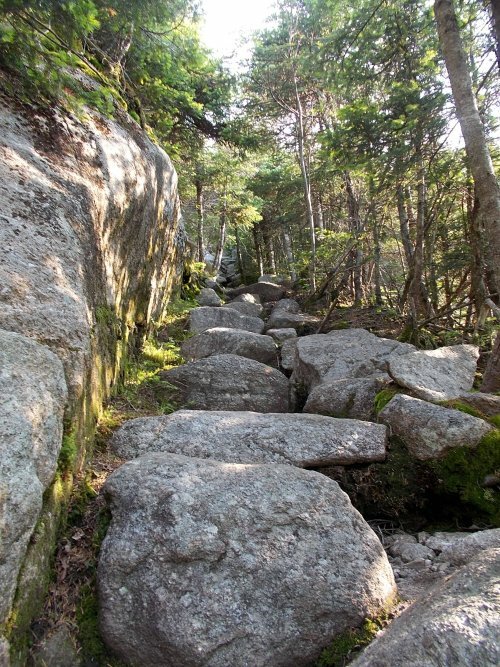 The trail down from Kinsman Mountain was steep, but not as steep as the trail up it was! The croo fed me some leftover eggs from breakfast, which I was happy to help them unload! 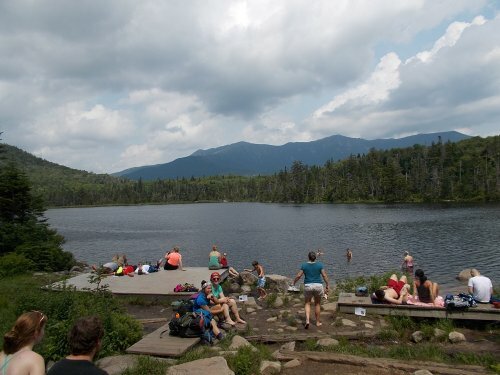 Lonesome Lake was crowded with day hikers and those staying at the hut! 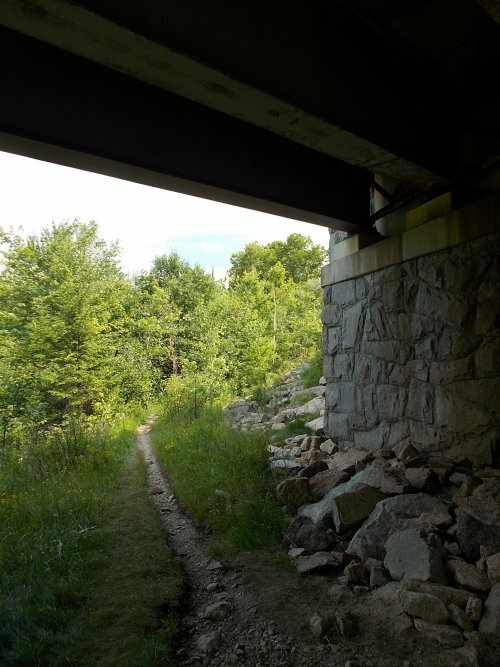 Crossing under I-93 at Franconia Notch. 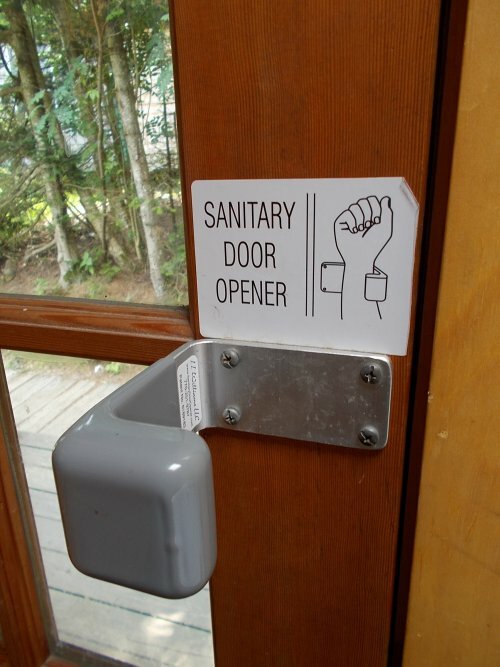 Just LOVE that door handle. I hope they become popular.